With its very small dimensions, minimal weight and comfortable one-hand operation, the PKI 5310 can easily be placed in any pocket and at any time it is ready for disguised observations in the dark. Especially developed for secret service agencies, police tasks forces and other government departments, this handy unit offers a perfect solution to every need of night surveillance. 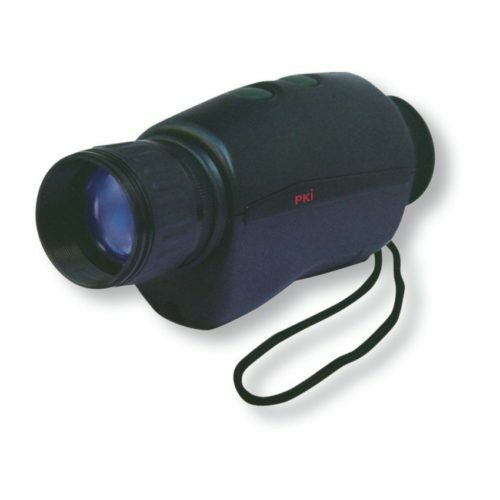 Through the image intensifier tube, it transfers the faint target image into a bright image, but still providing an automatic bright light control for accidentally incoming light. In addition, the device contains a concealed IR-light source for the illumination of the area to be observed. This IR-light is nearly invisible to the human eyes.